Named the head baseball coach at Louisiana's Sterlington High School in 2013, Mark Sims didn't need introducing, according to The Bastrop Daily Enterprise. Sims was already the school's pitching coach, taking that job after serving as a head coach elsewhere, The Daily Enterprise wrote. "Mark's a proven winner. He's won everywhere he's been," school athletic director Jason Thompson told The Daily Enterprise. "He's already familiar with the program and the kids." Sims went on to his coaching career after a playing career that lasted eight seasons. He made AAA, but he never made the majors. Sims' playing career began in 1986, taken by the Phillies in the 32nd round of the draft out of Ouachita Christian School in Louisiana. Sims started with the Phillies at short-season Utica. In 14 starts there, the hurler ended with a 1-10 record and a 4.25 ERA. He moved to single-A Spartanburg for 1987, improving his record to 7-8, with a 5.07 ERA. He took one of his losses in a June game after a poor first inning. At Clearwater in 1988, Sims went 9-14. He also improved his ERA to 2.65 over 26 starts. In 1989, Sims moved to relieving. He also got his first look at AA Reading. In 39 outings, six starts, between Clearwater and Reading, Sims had a 2.54 ERA. He also saved nine. He was a full-time reliever at Reading in 1990. In 54 relief outings, he saved 13 and had a 3.41 ERA. His ninth save came in mid-May, after being called on in the eighth to get out of a tough spot. 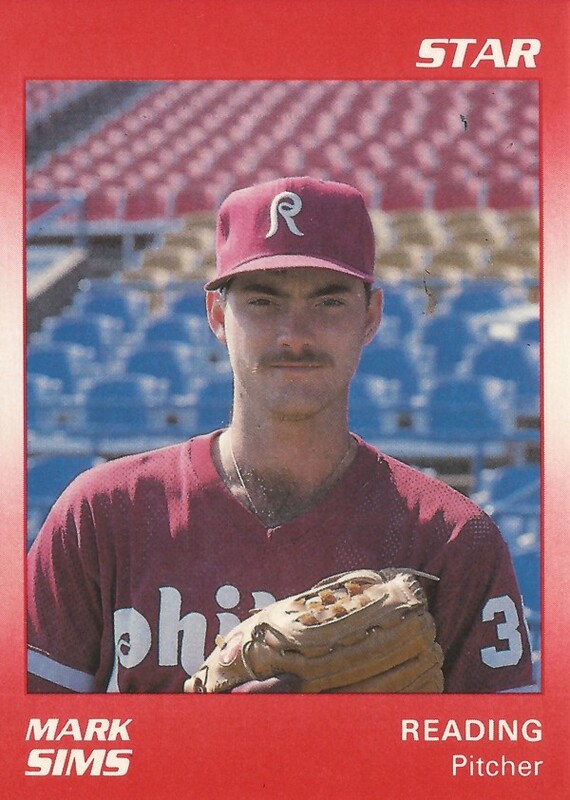 Sims made AAA Scranton in 1991, getting 45 outings there. He had a 3.05 ERA with the Red Barons that year. In 44 more outings there in 1992, with a 3.04 ERA. He didn't allow a run in at least his first 12.1 innings on the year. Sims' final season came in 1993, playing with the Twins at AAA Portland. He got 50 outings and a 3.41 ERA, ending his career. His playing career over, Sims went on to coach in high school. From 2000 to 2011, Sims coached at three different schools. He also took two of them to the state tournament, according to The Daily Enterprise. In 2011, he became Sterlington's defensive coordinator in football.